There used to be a time when you could afford to go to a concert and buy the tour shirt. Well for me those days are long gone. Can barely afford the price of a concert ticket let alone buy a t-shirt. So what do you do when your 20 year old concert t-shirt is no longer wearable? Holes in the arm pits and such. 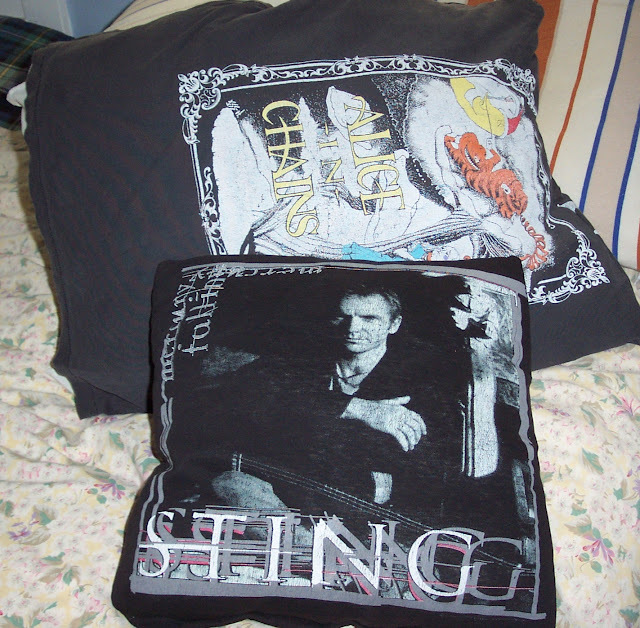 Well you make pillow cases! 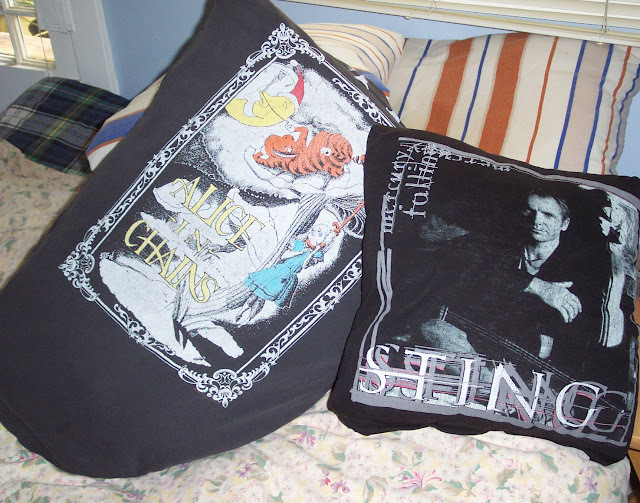 Keeps the memories alive and pillows are always useful.